If you have decided to expand theirliving space, but are not able to attach a room to your home, but the foundation is not strong enough for the second floor, while the ideal output will be the construction of the attic space. 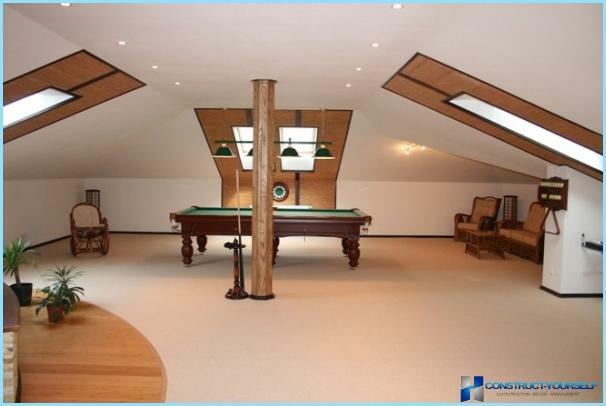 Attic - is a room in the attic, which can be designed as a living, if enough space. To increase space, a special mansard roof truss system. For the correct determination of the structure andthe amount of material required, using special software. 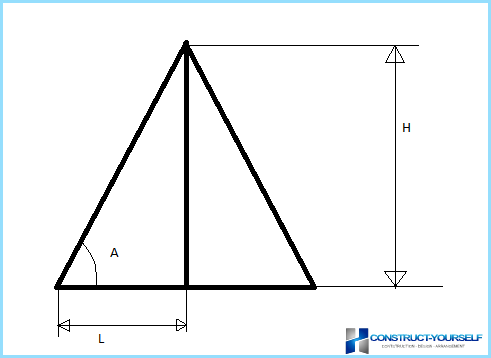 Calculation of the mansard roof truss system - is the key to proper and accurate selection of materials and to determine the size of the roof. Dome. Very rare scheme mansard roof truss system, as is used to cover the circular space. width of the junction overlap parts. Important! If you specify overlapping coats, do not try to save money, as this will allow you to protect the interior from rain. As seen in Figure Hk - the required height, L - semi-detached house width. TGA - tangent of the angle selected. The height of the proposed roof would 1,26metra. Be careful during all measurements, it will serve as a starting point for your calculations. Once payment is made mansard roof truss system and purchased all the materials, the next stage - the preparation. The duration of the work is the most important factor. All preparatory work should take no more than two or three days, because your home is not protected from rain or other precipitation. Weather forecast. Repair is best to do in the dry summer months when rainfall is not so terrible, and impregnating materials will dry faster. Very important! With the weather forecast is best read on several sites, to avoid any chance of precipitation. Preparation of the floor. Before you put the support necessary to take into account the type of fixing roof system mansard roof. Any type requires special places to the rafters. Replacing the floor of the attic. 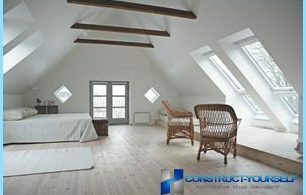 Not a mandatory step, but desirable, as the attic floor - is the ceiling of your room. 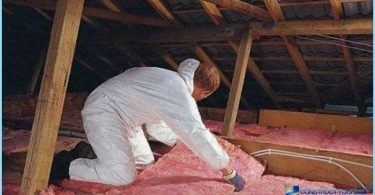 An extra layer of insulation will not interfere in any room. Note! 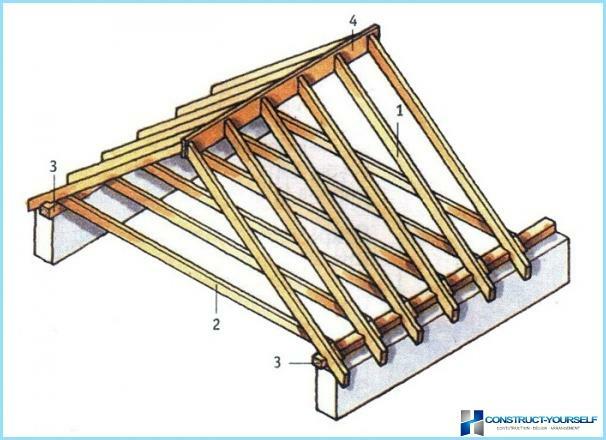 Do not proceed to the finish floor finish, until the rafter mounted, as at installation, you can damage them. After completion of all preparatory work,comes the most important and crucial stage. 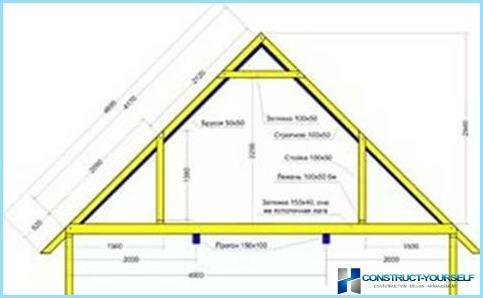 Building a mansard roof truss system should be carried out with strict observance of all technological stages. The surface will carry a serious load after snowfall or strong wind, so do not let even the slightest deviation in design. Various designs mansard roof and truss systems involve the use of different materials. Carefully read the manufacturer's recommendations before use. Important! 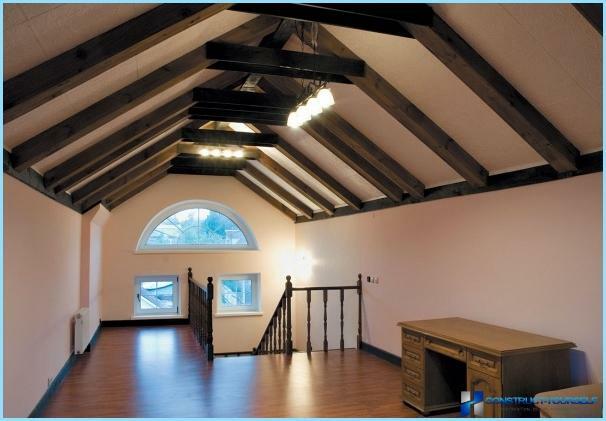 All roof supports are made of wooden beams, so when buying, check all the documents and appearance. Installation of mansard roof truss systemIt begins with the installation of poles, which will subsequently carry the entire load. If your home does not allow to install heavy structures, do not try to make the walls of the attic of the brick, it is better to apply the "sandwich" system. The use of lightweight materials allow the use of lighter and support that will enable you to choose the more profitable your room design. foam concrete blocks. Many types allows you to choose the perfect option for any customer. The disadvantage is the appearance. The walls will require finishing, both inside and outside. Plus, the material itself is fairly wide and take a lot of space. OSB panels. The most optimal option. Stove is very strong and light. No problem to process and allows for additional insulation of walls between the two plates. The device mansard roof truss system allows to apply two layers of plates and hide all communications in the wall. The disadvantage would be enough high cost and the need for additional finishing and impregnation. Do not be afraid that the material is lightweight, and made of wood shavings. In the fortress, and the mechanical strength is not inferior to the others. The choice of material for the walls depends on the technical requirements of your project and your financial capabilities. If you decide to perform the work themselves,then you should soberly assess their strength. Rafter system mansard roof with his hands must be done on a professional level, otherwise it may be difficult during the operation. Completely independently perform such work, you can not. Call several assistants, it is desirable that at least someone had experience in such matters. Purchase quality materials. Purchase materials will allow you to independently control their quality and compliance with estimates. rejection of complex structures. If you do the room with his hands, in most cases, your choice is the traditional no-frills option. Rafter system attic gable roof with his hands almost your only option.